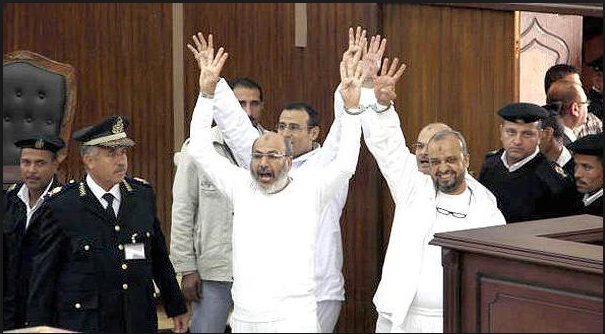 On 17/8/2014, Cairo court lifted the media ban on Mohamed Morsi and Muslim Brotherhood espionage case. According to Ahram Online, Cairo criminal court postponed the espionage case of ousted Muslim Brotherhood president Mohamed Morsi and 35 other defendants to 14 September 2014. The court also lifted the trial’s media ban, issued by Egypt’s prosecutor-general in November 2013. Morsi and 35 other Brotherhood leading figures are accused of collaborating with foreign organisations to commit acts of terrorism in Egypt. Revealing defense secrets to foreign countries. Funding terrorists and organizing militant training to commit terror acts inside the Egyptian territory. Spied in favor of an international organisation of the Brotherhood, which is outside the Egyptian state and with its military wing Hamas to commit terror attacks in Egypt, including damaging public properties, institutions, and attacking civilians, in the purpose of creating and spreading chaos to topple the Egyptian state, till Muslim Brotherhood seized power in Egypt. Opened communications channels with Official and non-official foreign bodies. Received media training on spreading rumors, Psychological warfare, and directed the local and international public opinion to serve their plans and agendas. Allied and coordinated with Jihad armed movements and organizations inside and outside the country, who sneaked outside the country through illegal ways to Gaza strip and received military training inside prepared military camps and used smuggled arms through the eastern and the western borders of the country. They exchanged tasks and missions among them and with the leaders of the international MB organization, through the international information network. Exchanged information and data concerned the political and economical scene in the country, incited popular discontent against the regime at that period. Took advantage of the circumstances and the country state till they reached the execution of their criminal plans. The crime subject of espionage happened by facilitating and pushing a group of internal and external armed organizations elements, sneaked through the eastern and western borders tunnels of the State by illegal ways. These armed elements attacked military and police establishments and Egyptian prisons to create a state of chaos and security vacuum in the country. Enabled under arrest dangerous elements to escape from prisons which terrorized civilians and exposed their lives and their security to danger. 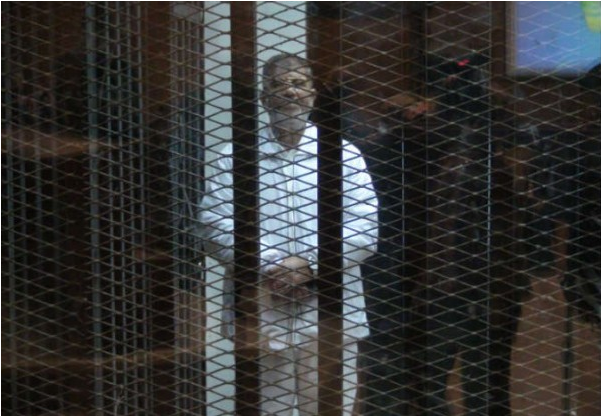 As a result, the third defendant, Mohamed Morsi was isolated from his post and in the same frame of the criminal scheme as stated above, similar armed groups to the mentioned previously, were pushed to target establishments, military and police individuals, to topple the Egyptian state and to create a pretext for foreign intervention in the country. Such crime happened with intent to damage the independence and the unity and the territorial integrity of the country as outlined by the investigations. Morsi also faces a number of other charges in separate court cases, including counts of incitement to murder and breaking out of prison in 2011.